This classic enamel Dutch oven is made—where else?—in Holland, where it was invented. Recycled railroad tracks provide the heavy-duty iron that is coated in stain-resistant enamel to boost durability. 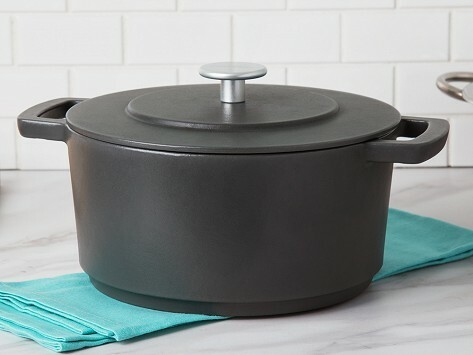 An extra-thick base encourages even cooking and better heat distribution when you’re braising or making stew.